Due to their impact strength and shatter resistance, which is 250 times that of standard glass - they are virtually unbreakable. 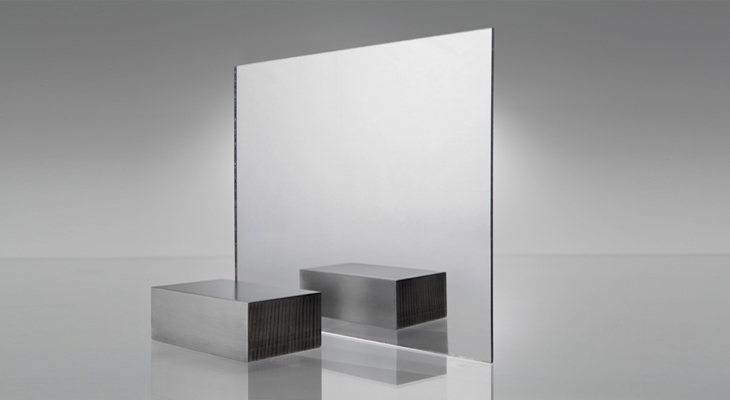 In applications where glass is too dangerous to use, and acrylic mirrors don’t have enough strength; Polycarbonate mirror sheets are the definite “go to”. For applications where scratch resistance is required we also offer Hard Coat Polycarbonate Mirror in 6mm thickness, in 2440 x 1220mm sheet size. Please visit our Polycarbonate Mirror and Acrylic mirror pages for detailed product information.